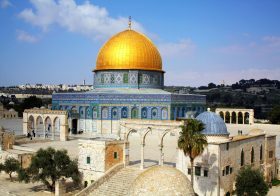 Mahmoud Abbas Goes to Washington: What Is at Stake? 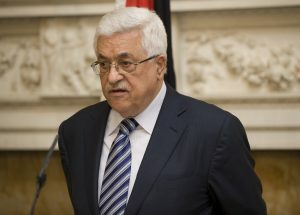 Home » Perspectives Papers » Mahmoud Abbas Goes to Washington: What Is at Stake? EXECUTIVE SUMMARY: The preparatory visit to Washington now underway by a Palestinian delegation, headed by Saeb Erekat, underscores the importance attached to the forthcoming visit early next month by Mahmoud Abbas. The indications that Abbas is now willing to contemplate a meeting with Prime Minister Netanyahu under Trump’s auspices may seem surprising, given the latter’s firm stand on issues important to Israel. But it should be considered in the context of the broader consolidation of the pro-western forces in the region, who felt on unstable ground during the Obama years. 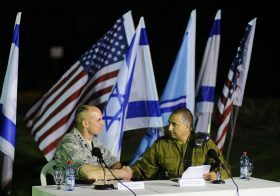 An opportunity is now arising to forge a more realistic framework for negotiations than the one former Secretary of State John Kerry tried, and failed, to get the Palestinians to agree to in 2014 (and which they had no reason to accept, knowing full well that the Obama administration would put the blame on Israel). Straightforward messages would be of great help in setting the stage for purposeful talks. Those messages should address the need for long-term security measures; for mutual recognition (i.e., of Israel as the embodiment of the right of the Jewish people to self-determination, and vice versa); and for a territorial compromise reflecting realities on the ground. It would also be helpful for President Trump to send a message on the need to “park” the Jerusalem issue, which cannot be resolved at this time. If, in return, the Palestinians garner a delay in the transfer of the US Embassy to Jerusalem and an understanding on restrictions (not a freeze) of construction, limiting it to existing settlements, this would be a reasonable price to pay in order to break the dangerous lock of unrealistic terms of reference that Obama (and Condoleezza Rice) led the Palestinians to expect. Given regional and global dynamics, this is not quite as impossible as it may sound. What is likely to be on the table between the Palestinians and the Trump administration in the preparatory talks and the summit meeting? The most important aspect may, in fact, remain unspoken. It can be defined as “strategic reassurance”: the realization that after years of uncertainty under Obama, the American administration – for all its obvious faults – is once again committed without reservation to its friends in the region, the so-called “camp of stability”. Obama’s abandonment of Mubarak, regardless of the merits of the case, was catastrophic in terms of the loss of any residual political courage on Abbas’s part. Obama was sympathetic to the Palestinians’ cause, but his policies generated an acute level of uncertainty for the Palestinian leadership in Ramallah, laced with what seemed like a measure of support on Obama’s part for the rise of the Muslim Brotherhood in Egypt and elsewhere. 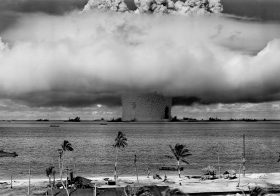 This was not an environment in which to take fateful decisions. The Trump team seems to be working to restore confidence and reconstruct what was referred to during the Reagan years as the “Strategic Consensus”, which includes both Israel and the pro-Western Arab states. In this new environment, it could be safer for Abbas to take measured risks and enter into an open-ended negotiation with Netanyahu. The effort may still fall apart, if only because the Palestinians have fallen into the habit of posing preconditions. But there seems to be a better chance of drawing them in when they feel that their traditional patrons in the Arab world, Egypt and Saudi Arabia, are once again basking in the sunshine of American strategic support. The familiar Palestinian need to latch onto preordained terms of reference, a “closed-end” process, is to some extent a direct function of their sense of weakness and uncertainty (as well as a way to avoid the painful decisions that a real peace with Israel must entail). At least in theory, it should therefore be easier now for Jason Greenblatt and the White House to persuade Abbas to accept a point of entry into negotiations that stays within the two-state paradigm but is no longer predicated on strict adherence to the 4 June 1967 lines (with minimal 1:1 swaps). These parameters could be more in line with what Israel can accept and implement. Clarity on the US agreement with Israel with regard to limited settlement construction – not a “freeze”, which brought both sides nothing but grief when it was tried in 2009-10 – can further set the stage for realism on the broader question of territorial compromise. As to security, there needs to be a greater recognition of the dangers that flow from the rise in regional tensions; the ambitions of Iran and the virulence of IS; the wars in Syria, Libya, Yemen, and Iraq; and the real possibility of a bid for power by Hamas in the areas now under Ramallah’s control. All this requires arrangements for a long-term Israeli military presence in areas vital not only to the defense of Israel and her citizens but also to the stability and survival of the Palestinian government, as well as the security of Jordan. The level of openness on the Palestinian side on these issues will be highly indicative of the seriousness of their intentions. In the debates of recent years, recognition has often come across as the most difficult problem to solve. The Palestinians’ almost instinctive reactions – “Call yourselves whatever you wish”, “We do not want to turn this into a religious conflict” – sound plausible at first, but they reflect a profound misreading of the very nature of the Zionist project as a national movement. 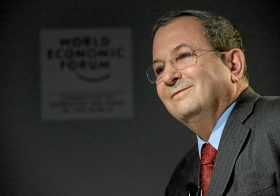 While this is not a precondition and will ultimately be settled at the table, it would be useful for the Trump team to explore whether the Palestinians can live with more elaborate language than a “Jewish State” – for example, a text asserting that Israel is the embodiment of the right of the Jewish people to self-determination, while the future Palestinian state would be the embodiment of theirs. 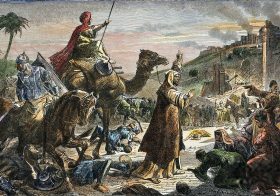 Ultimately, it may be wise for the Trump administration to leave the question of Jerusalem on the back burner at this stage. There is no middle ground to be found there, and it would be better to “park” it for the time being. By using the embassy issue as a lure, it should be possible to persuade the Palestinian side that their interests will not be served by forcing the Jerusalem issue now. As to the sensitive question of PA subsidies to terrorists and their families, which has recently come into focus (thanks in part to the message of Israeli organizations and think tanks), there needs to be a realization on both sides that this is unlikely to be resolved overnight. The conceptual and moral chasm is too wide. Key people in the US administration have already expressed forthright opinions, during their previous service in the House or Senate, about this practice, and have supported legislation aimed at putting an end to it. At the same time, amidst the turmoil caused by the prisoners’ hunger strike (apparently organized by Bargouthi for his own political purposes), it will be impossible for Abbas to simply turn his back on a key aspect of PA policy. 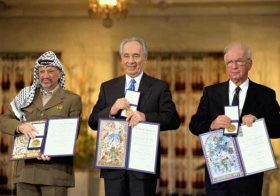 The best way to handle this would probably be to increase the pressure, use the issue to legitimize Israel’s security concerns, and then leverage it in order to secure a more practical Palestinian position on the terms of reference – one which will open the door to effective and implementable solutions, not close them in advance.